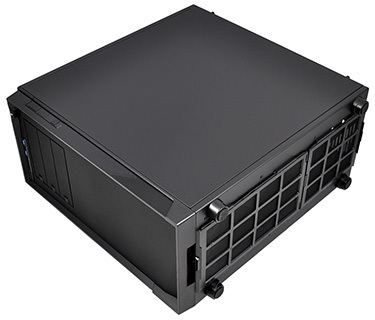 NZXT has become a noteworthy player in the chassis market. Over the course of the past few years, the Californian firm has evolved into a crowd favourite by releasing wave after wave of chassis that incorporate lavish designs, comprehensive feature sets, and above all, keen pricing. 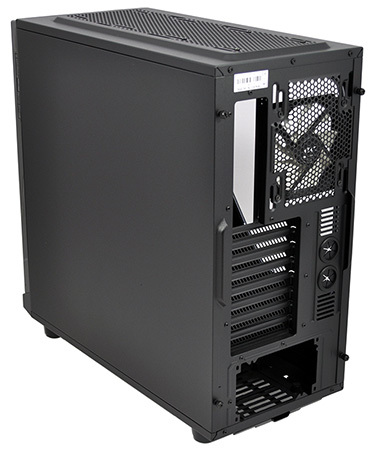 Hoping to keep that momentum going is the Source 530, a $90/£80 full-tower chassis that we're told "was created to offer all of the essentials with a focus on affordability and simplicity." Sounds like our cup of tea, as the Source 530 appears to be offering quite a lot for what in our estimation is a rather modest price tag. 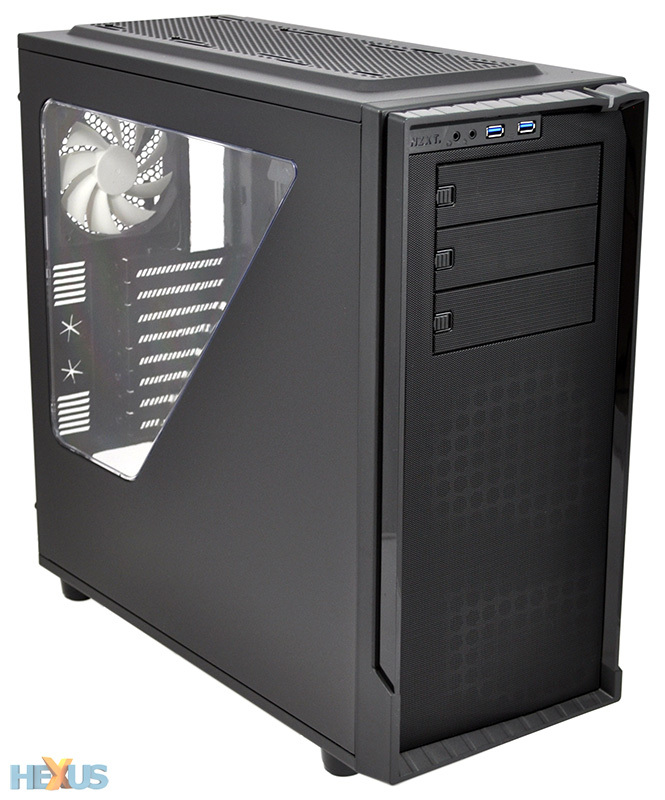 Heck, you could buy almost two of these for the cost of a single Obsidian Series 750D. NZXT's pricing is attractive, but we shouldn't be too surprised. The firm currently has three chassis product lines; the Phantom Series aimed at performance enthusiasts; the H Series designed for silent builds; and the Source Series which is all about affordability. This is our first experience with the latter, and our initial impressions are good. Despite the 'cheap-and-cheerful' ambition, NZXT's enclosure feels well-put together and all the panels combine to create a tight fit. Granted, the steel panels aren't the thickest we've ever seen, and the frame as a whole doesn't have the premium feel of pricier rivals, but it's more than up to the task. And call us old-fashioned, but we actually prefer the look of the Source over the equivalent Phantom. Whereas the Phantom 530 is designed to turn heads through exaggerated plastic moulds and wild colour schemes, the Source 530 is far more subtle: there's just a little amount of detailing on the front fascia, and it only comes in black. We wouldn't go as far as to call it pretty, but it's understated and that's all a budget full-tower chassis needs to be. 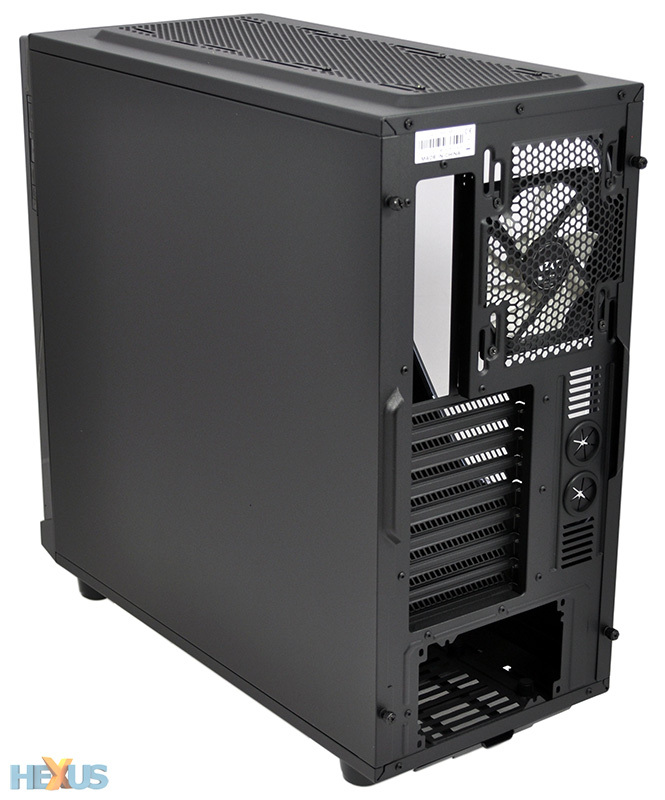 It's a modest-looking box, and though it's officially marketed as a 'full-tower,' the Source 530 isn't as big as some of the competition. Standing at 507mm (H) x 235mm (W) x 511mm (L) in size and weighing 9.2kg, NZXT's chassis is actually a fraction smaller and lighter than, say, a mid-tower Corsair Graphite Series 600T. We've been spending a fair amount of time with small-form-factor machines in recent months, so any large tower now feels monstrous in comparison, but NZXT thankfully hasn't gone overboard - the Source 530 is not too intimidating and we've come away thinking that full-tower solutions needn't be any bigger than this. From the outside, the chassis' design doesn't give much away. 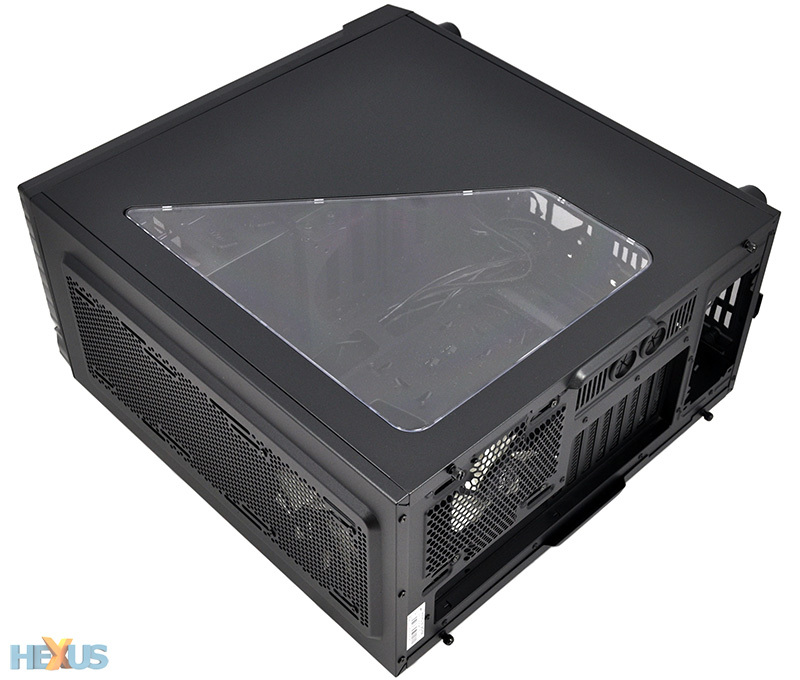 A cutout side window is nicely integrated and should do a good job of showing off your key components, four rubber feet prop the chassis up, there are two pull-out dust filters that line the bottom of the case, and both the front and top are adorned with mesh openings. A glance at the marketing material - which proudly boasts a total of 9 fan mounts - suggests that users won't be left wanting in terms of cooling potential. The front I/O panel, resting just above the trio of optical bays, is kept simple and includes just two USB 3.0 ports alongside audio and microphone jacks. It's interesting to see that NZXT hasn't put the power switch on the front of the machine. Instead, three buttons - power, rear LED on/off and reset - are positioned on the right side of the plastic front surround. It's great to have rear LEDs on a chassis at this price point - you can turn them on to get a better look at your I/O ports - but the button placement is less than ideal. We'd have preferred a top-mounted power button that's easier to locate, and the LED and reset switches are too similar, making it easy to hit the wrong one by mistake. Button placement aside, the Source 530 comes across as a safe and unassuming enclosure. Only when you get inside do you begin to realise the potential that's on offer.